Can acupressure relieve nausea? It only takes minutes to find out! There are all sorts of reasons why you might be feeling nauseas. You might be sick with a serious flu. You might be the victim of food poisoning. You might have indigestion from something bad you ate. Or maybe you're car or sea sick. Regardless of the cause of your nausea, acupressure is here to help. Acupressure works by stimulating the life energy that flows through the meridians within your inner energy body. As the flow of this energy is restored to its proper balance, physical symptoms of injury and illness tend to subside. For many acupressure users out there, these physical symptoms include nausea. Nausea is often caused by emotional reactions as well. It may be the result of extreme anxiety or nervousness. In this case, I believe that acupressure would be even more effective at relieving it, because energy healing techniques like acupressure tend to be super effective at relieving emotional distress. Another contributor to nausea can be muscle tension that accumulates in and around the stomach. Acupressure can help relax the body and muscular system, leading to nausea relief. 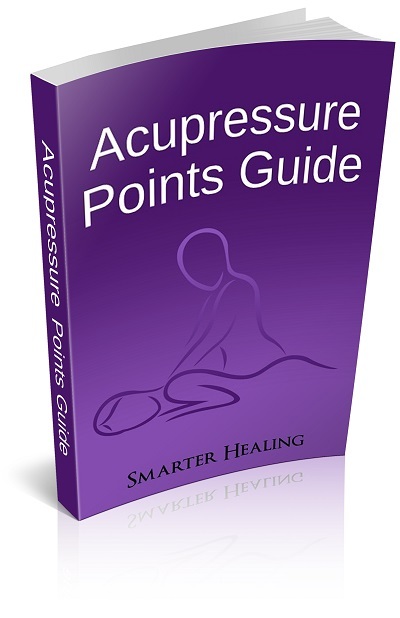 Let's take a look at the acupressure points that will be most effective at getting rid of your feelings of nausea. 1. Small Intestine 17, located on the face, near the back of the jaw, in the indentation behind the jawbone and directly under the earlobe. Use this facial acupressure point to relieve your nausea. This point is also effective at treating all sorts of physical symptoms in your face, including facial spasms and muscular paralysis, jaw pain, itchy ears, swelling of the throat, and ear pain. 2. Pericardium 5, in the middle of the inner side of the forearm, four finger widths away from the crease of the wrist. This pressure point will help reduce nausea and stop vomiting. It will also relieve an upset stomach. This point on your forearm is excellent for using discretely in a public place without attracting too much attention from nearby onlookers. 3. Pericardium 6, in the middle of the inner side of the forearm, two and half finger widths away from the crease of the wrist. This acupressure point will help the same issues as the Pericardium point adjacent to it listed above. It will relieve nausea and stomachaches. It will also help reduce indigestion and get rid of pain in the wrist. 4. Spleen 16, located on the chest, below the bottom of the rib cage, found in a straight line down the body from the earlobe above it. This Spleen meridian point on your abdomen/chest area will relieve your indigestion and stomach issues. It will help reduce abdominal cramps that may accompany or cause feelings of nausea. This point can also be used to help end hiccups, and to fix problems with an imbalance of appetite. 5. Stomach 36, on the front of the lower leg, located four finger widths below the kneecap, about one finger width towards the outside of the leg from the center of the shinbone. Use this Stomach meridian point to - what else - help fix problems with your stomach. 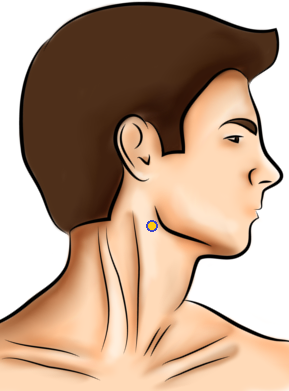 This pressure point will stimulate energy that can aid your digestive system in functioning properly. This point will also relieve nausea and stomach disorders of all kinds, and may even help increase energy and relieve fatigue that is related to metabolic (digestion-related) disorders. 6. Liver 3, found on the top of your foot, in between the bones of the big toe and second toe, up a bit from the skin where the two toes meet. Use this foot pressure point to relieve nausea and reduce cramps in the stomach and intestines of the body. 7. Stomach 45, on the second toe of the foot, slightly on the outside edge of the toe (facing away from the other foot), where the toe nail ends. Use this acupressure point found on your toes to relieve all manner of problems with your stomach by balancing your stomach meridian energy. This point is effective at treating nausea, indigestion, and food poisoning. It will also help reduce pain in the abdomen, especially that which is related to the stomach and digestive system. This point also helps relieve toothaches.